From left to right: Shela Lahey, Sabrina Killeen, Megan Johnson. Sabrina is the winner of the 2013 SFF "Arts for the Arts" scholarship award, at DeKalb High School! Photo credit to Shelby Beck. From left to right: Jay Riippi, Ashlyn Gardner, Shela Lahey, Samantha McCoy, Megan Johnson. 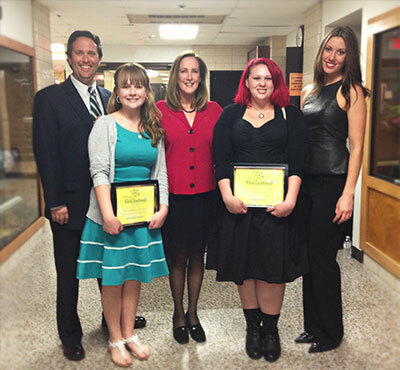 Ashlyn and Samantha are the 2013 SFF "Arts for the Arts" scholarship winners from Sycamore High School!